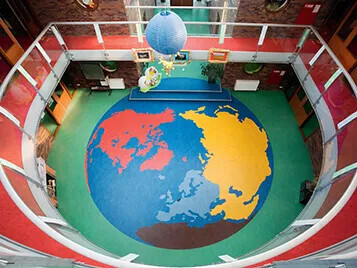 Thanks to the exceptional flexibility of our state-of-the-art digital printing technology, Forbo can offer the option to create bespoke designs for vinyl and textile floor coverings, suitable for educational environments. There are virtually no limits to what can be achieved in terms of aesthetic design, colour and intricate detailing. 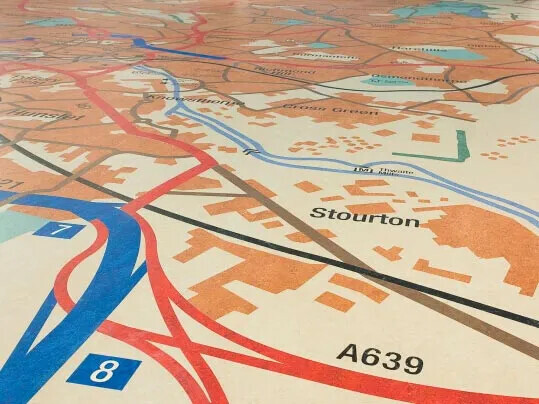 Bespoke Digital Print is a revolutionary printed vinyl flooring that presents a dramatic and bespoke opportunity to create one off flooring designs that are focal points for interiors. Choose from thousands of images that are licenced and ready to be reproduced or design your own floor. Whatever the type, size, scale or complexity of design, our Digital Print delivers pin sharp and vivid images as a result of 6 colour, 600dpi (high resolution) digital printing. 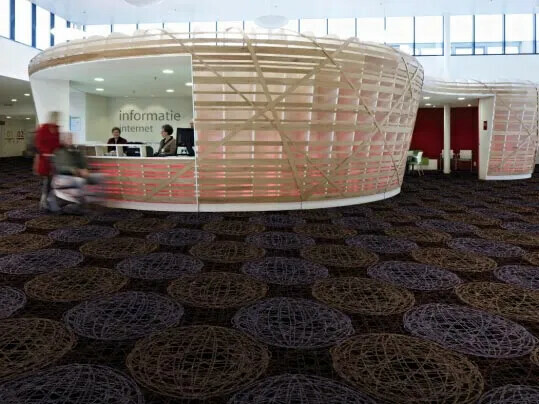 Flotex Vision will offer an infinite number of design options ranging from abstracts with an intricate colour spectrum to realistic images of natural materials such as grass, sand and water. 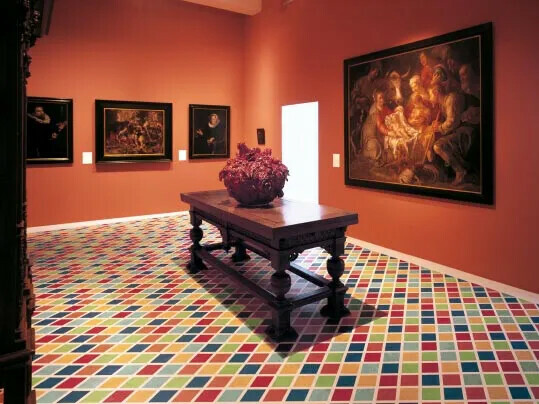 Nature can be brought indoors by creating a pebble beach or a field of clover and 3D effects or “trompe l‘oeil” designs can also be produced allowing stunning effects on the floor. 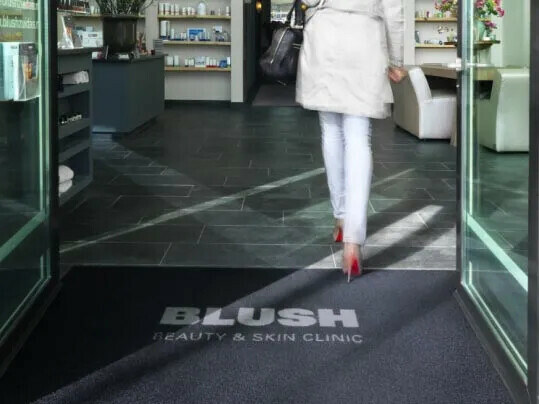 The printed logo mat is available in 7 standard mat sizes (sizes with edges): 55x90, 105x155, 105x300, 155x205, 155x300, 205x205 & 205x300 (cm), and also in special sizes up to 200 cm wide and 600 cm long (sizes without edges). For more information on how to order the Coral Logo mats please contact your Customer Service department.